Biodiversity generally refers to the variety of life on Earth. One of the most widely used definitions defines it in terms of the variability within species, between species and between ecosystems.It is a measure of the variety of organisms present in different ecosystems. Source: Armin Grunwald & Jürgen Kopfmüller (2006). Nachhaltigkeit. Frankfurt/Main: Campus Verlag GmbH. “The cradle-to-cradle approach to design was developed by William McDonough, a notable architect in sustainable buildings, and chemist Michael Braungart in 2002. “Earth Overshoot Day marks the date when humanity’s demand for ecological resources and services in a given year exceeds what Earth can regenerate in that year. We maintain this deficit by liquidating stocks of ecological resources and accumulating waste, primarily carbon dioxide in the atmosphere. Earth Overshoot Day is hosted and calculated by Global Footprint Network, […]. In 1994 William E. Rees and Mathis Wackernagel created a measurement of the “ecological footprint”. An ecological footprint is a measure of human impact on Earth’s ecosystems. It’s typically measured in area of wilderness or amount of natural capital consumed each year. A common way of estimating footprint is, the area of wilderness of both land and sea needed to supply resources to a human population; This includes the area of wilderness needed to assimilate human waste. 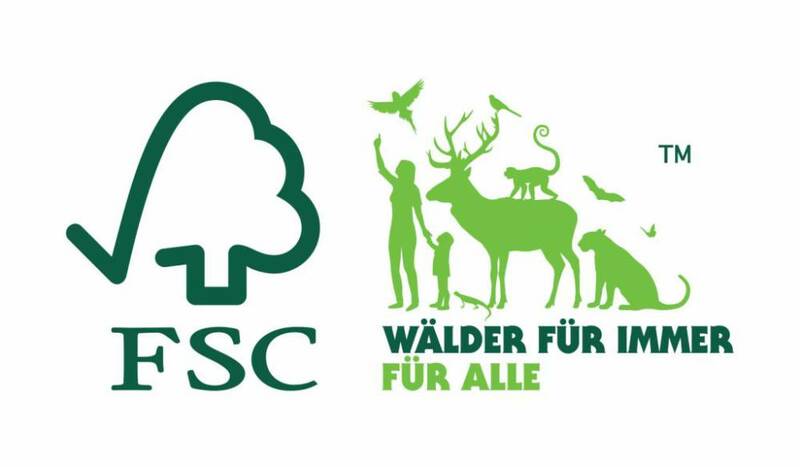 The FSC label which is produced for wood as well as other products made out of paper is an indicator for responsibility of forest management. Products with this label make sure that the usage of forests is aligned with the social, economical and ecological requirements of our generation and future generation. The label also guarantees that the product is not mixed with non-controlled and non certified paper or wood. Source (translated): Wackernagel, Mathis & Beyers, Bert (2010). Der Egological Footprint. Die Welt neu vermessen. Leipzig: Europäische Verlagsanstalt GmbH. Source: WECD – World Commission on Enviroment and Development (1987). Our common future. Qxford: Oxford University Press. The focus of upcycling is rethinking and redesigning our daily resources in order to give it a higher value. Upcycling allows us to be creative and create individual pieces which support our environment.